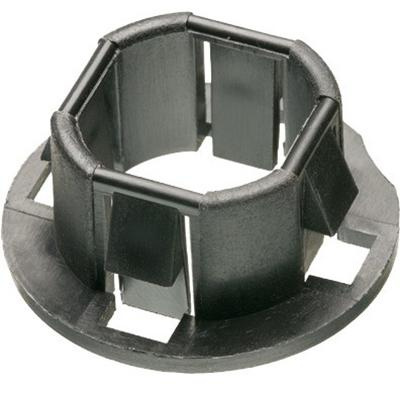 Arlington Plastic knockout bushing is suitable for use with knockouts. It has trade size of 1-1/4-inches. This snap-in mount bushing measures 1.509-Inch ID x 2.281-Inch OD x 0.505-Inch. Bushing is UL listed and CSA certified.